The second hole is a sterner test. The view from the elevated tee is something to savour. 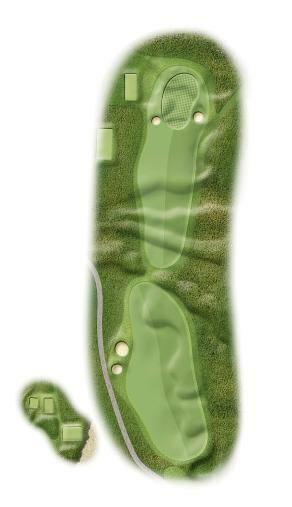 The fairway bunkers define the hole but with the recent return of the bent there is little margin for error. As ever the best line to the bunkered green is not to stray from the straight and narrow. From the medal tee with the pin back right the second hole is difficult.